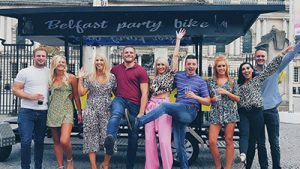 Get onboard the Belfast Party Bike for a tour you’ll never forget. 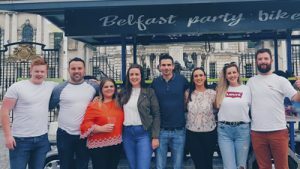 Bring your family, friends or colleague and experience Belfast like never before. 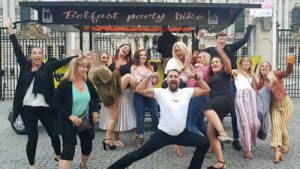 Why Choose Belfast Party Bike? Book your tour and receive instant confirmation then sit back and relax until the big day. Let us know exactly when you’d like your tour to start/finish and we’ll accommodate your needs. 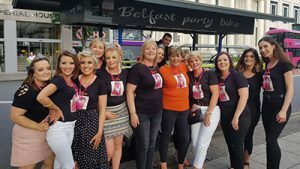 We offer the best like-for-like prices in Belfast. Our one hour tour starts from as little as £12. Take your night-out to the next level with our complete ‘Limo, Bike & Bus Package’. 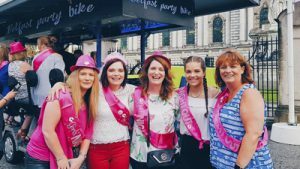 We will collect you in one of our luxury Hummer Limos into Belfast for your Party Bike Tour. 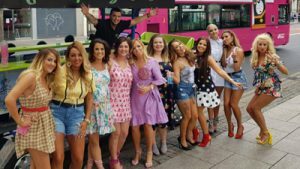 Enjoy the sights and sounds of Belfast’s nightlife and once your evening is over we’ll transport you home again in our Pink Party Bus. 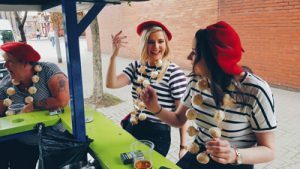 Are you planning a corporate event or a team building experience for your staff? 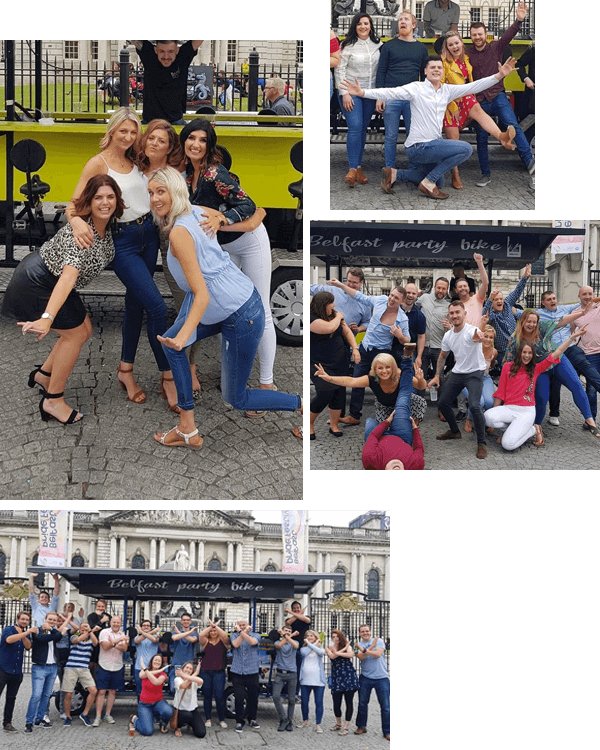 Look no further, the Belfast Party Bike is the ideal solution for every corporate outing. 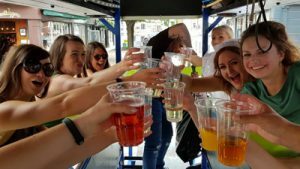 From small groups to large, we can cater for every scenario. 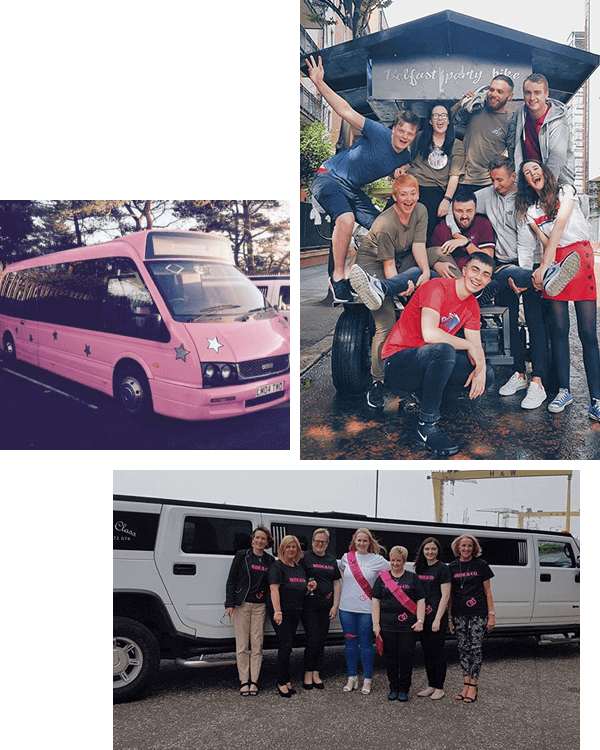 Why not make your tour extra special by including a pre-tour drive in one of our luxury Hummer Limos. 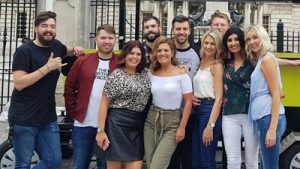 We pride ourselves on being the best in Belfast but don’t just take our word for it. 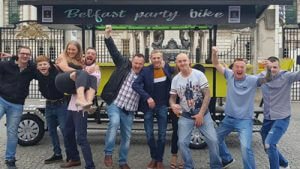 Visit Facebook or TripAdvisor to see exactly what our customers say about the Belfast Part Bike. 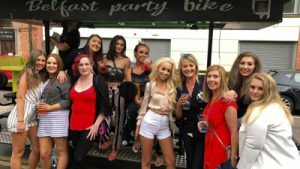 Over 300 Facebook users have rated the Belfast Party Bike ‘5 stars’, check them out below. 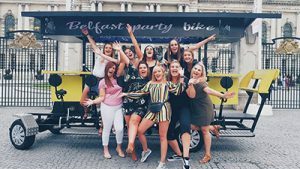 International visitors love the Belfast Party Bike, read what they have to say over at TripAdvisor.